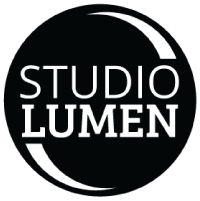 Before we moved to Calgary and started Studio Lumen, we never saw ourselves as product photographers. As time went on though, we realized that what we really love in our work is building relationships with people, and that product photography is just one more way to do that. It also turns out that it's fun, as we enjoy the challenge and puzzle of getting the images just right! So why and how did we end up setting up our Product Photography Day service? Well that's an interesting story. Our former banker, who also co-owns a local apparel brand called Local Laundry, mentioned to us that companies in Calgary were having to send their goods all the way to Montreal, Toronto, or Vancouver to have them properly photographed. This seemed ludicrous to us, so it got us thinking about setting up a product photography service. At that point we didn't really know what our service would look like, but having already figured out our Headshots Experience Day, to provide top quality headshots at a reasonable cost, something along those lines for product photography seemed like something we could do, to save clients money on professional e-commerce photos, and to use our brand new studio. Fast forward to a couple months later, and I met the other owner of Local Laundry. I knew him from having heard him speak on a panel, but he had no idea who I was, so I introduced myself! Having had a chance to think about how a product photography day might look, I asked him what he would want to see in such an event. He was very specific! He wanted two setups (a model setup and a flatlay setup), reasonable cost, high quality, and a regular event. All of those things we can do! We have the space (our studio), the equipment (enough lighting and room for 3 product photography setups), and the skill (we know how to use our equipment, what makes a good photo, and how to edit the photos afterwards). To keep the cost down, we bring the clients to our studio, and invite many people to come on the same day in different time slots, thus distributing the setup time among many, and saving on travel. We also operate on a BYOM basis (that is, Bring Your Own Model), so that companies can find a willing friend or employee to model for them, perhaps for the cost of a free shirt or sample of the product. So in a nutshell, that is why and how we developed our Product Photography Day! In the next couple of posts, I will share our experience in making great product photos, as well as what's needed to do that.